Information in accordance with Wikipedia's scripted, "cloud computing" is a new way of Internet-based computing through the Internet, heterogeneous, autonomous services for individuals and businesses that provide on-demand computing to take. 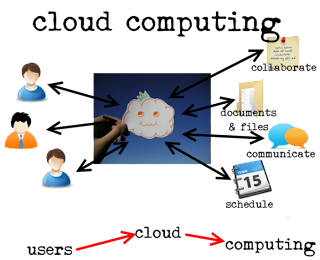 As resources on the Internet, and in the flow chart of the computer, the Internet often expressed in a cloud-like pattern, so you can image analogy for the "cloud." Now we use computers, a large number of operations carried out on the machine, such as Word editor, handling photos, play online games, and future operations are handed over the "cloud", you can "cloud" computing power as a large superior computer and the server, they can help you complete any complex calculations, the use of ultra-high bandwidth Internet, we can just sit back and enjoy at home on the line. 1Go to START è Control Panel è Administrative Tools. Service stop all Oracle related services. 2 START è PROGRAMS è ORACLE è OraDb10g_home1 è Oracle Installation Products è Universal Installer. Uninstall all Oracle products, but Universal Installer itself can not be deleted. 4 START è RUN. Type regedit and then press enter, when window open choose HKEY_LOCAL_MACHINE \ SYSTEM \ CurrentControlSet \ Services, scroll through the list, remove all Oracle entrance. 5 START è RUN. Type regedit and then press enter, when window open, select the HKEY_LOCAL_MACHINE \ SYSTEM \ CurrentControlSet \ Services \ Eventlog \ Application, remove all Oracle entrance. 6 START è Control Panel è System è Advanced è Environment Variables. Delete the environment variable CLASSPATH and PATH settings relating to Oracle. According to Forbes.com Oracle CEO Lawrence (Larry) Ellison is on 6th place of World Richest People and he is also on 3rd place in American richest. Database giant has bought 57 companies in the past five years. Completed $7.4 billion buyout of Sun Microsystems in January and also acquired BEA Systems for $8.5 billion in 2008. Larry Ellison Studied physics at University of Chicago. Vmware player is a PC to run multiple operating systems simultaneously on the most simple method, with its friendly user interface, Vmware player so that everyone has the courage to try Windows 7, Chrome OS and the latest Linux, or create isolated virtual machines in new product testing and safety online. 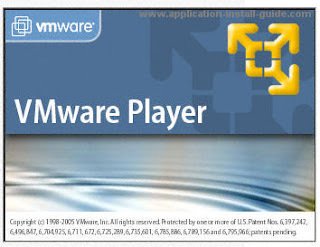 To install VMware player VMware web site you have to register an account and then to find your registration email activation message, click the activation link to activate your profile, so you can download the VMware player, 32-bit and 64-bit versions of Windows and Linux. VMware player graphical interface designed to be very good, it provides the option is also very easy to understand. PuTTY is a free implementation of Telnet and SSH for Windows and Unix platforms, along with an xterm terminal emulator. The latest version is beta 0.60. • The storing of hosts and preferences for later use. • Control over the SSH encryption key and protocol version. • Command-line SCP and SFTP clients, called "pscp" and "psftp" respectively. • Control over port forwarding with SSH (local, remote or dynamic port forwarding), including built-in handling of X11 forwarding. • Emulates most xterm, VT102 control sequences, as well as much of ECMA-48 terminal emulation. • Supports 3DES, AES, Arcfour, Blowfish, DES. • Support for local serial port connections. • Self-contained executable requires no installation. KDE (Kool Desktop Environment) project was established in October 1996, compared to GNOME even earlier. KDE is a graphical layout tool for project developers Lyx, a German named Matthias Ettrich launched, aims to satisfy the average user through ease of use to manage desktop applications on Unix workstations, software and complete variety of tasks. In application development, KDE project has developed a first-class compound document application framework, a framework for achieving the most advanced technology and therefore the direct exposure of its own and such as Microsoft MFC / COM / ActiveX technology, competing popular development framework location. 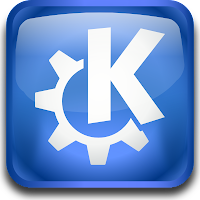 KDE's KParts compound document technology enables developers to quickly create a class of applications in order to achieve the most cutting-edge technology. In this artical i want to share some very useful scripts for Oracle Database Administrator.